Why is it a Better Burger? Because it’s stuffed to perfection. Our chefs wondered, “how do we improve an American classic?” The answer was simple. Take the best ingredients you’d want on a burger and put them in the burger! No more worries about burned toppings on your grill or in your skillet. Just stuffed goodness on a bun or on a plate. We suggest serving with classic burger condiments . 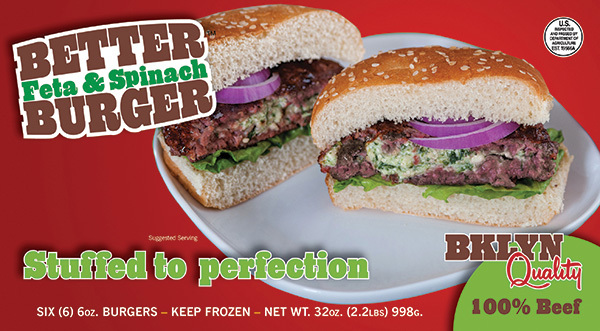 . . or do like we do in Brooklyn and make your own better burger better. ENJOY one right now! A burger with American cheese—the classic combination! Crispy bacon makes our classic cheeseburger even more irresistible. Add a Mediterranean touch to your burger with feta cheese and spinach. The burger your Italian grandmother would want you to make (even if you don’t have an Italian grandmother!). Grilled onions make our burgers taste like they’re right off the barbecue! 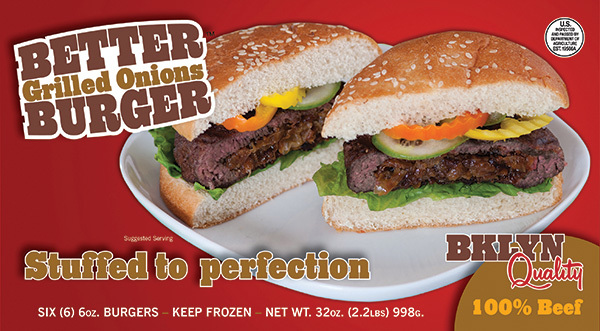 Get your Better Burgers at a location near you today! Don't see a store near you? Check back soon, as we are expanding nationwide . . . and fast. Folks love our Better Burgers! 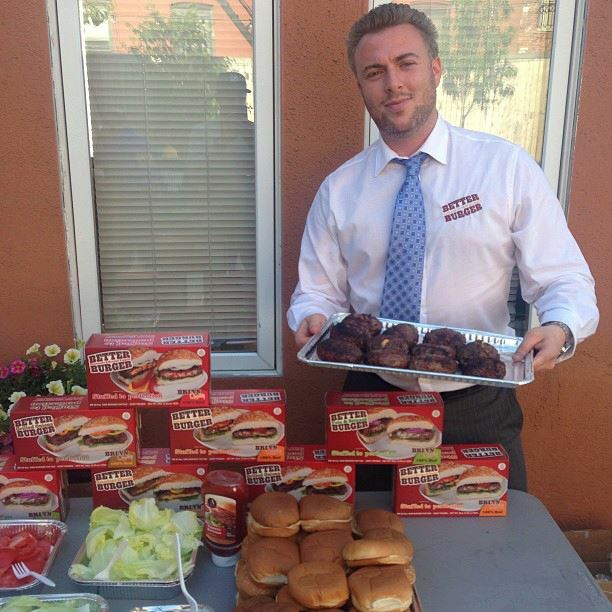 Our vice president of Better Burger, Leonard Sherman, doing a food demo for a national retail chain. About the Better Burger brand. 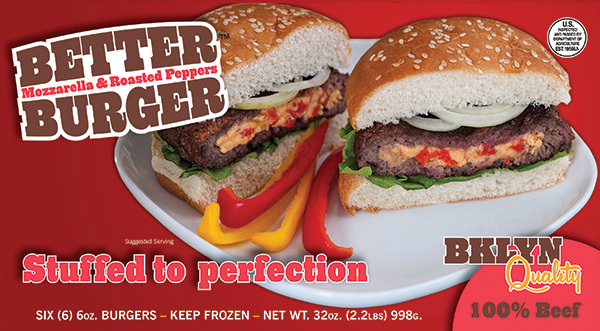 Created and manufactured by Mr. Pierogi, LLC, Better Burger is a premium quality product that is quick to prepare and delicious to eat. Mr. Pierogi is a division of Alex's Meat & Provisions, founded in 1983 by Alex and Milana Sherman. The company originated on 14th Street in the heart of the Manhattan meat market district and has grown to operating two state-of-the-art manufacturing facilities in Brooklyn, NY. After many years of hard work and dedication to their family-run business, Alex and Milana's company has grown to produce over 200 types of smoked meats, salamis and provisions, along with a complete line of frozen entrees and foods, including the Better Burger line of products. You can find Alex's Meat & Provisions products nationwide and in Canada. Alex's Meat & Provisions is a second-generation business that strives for perfection and quality to the end consumer. 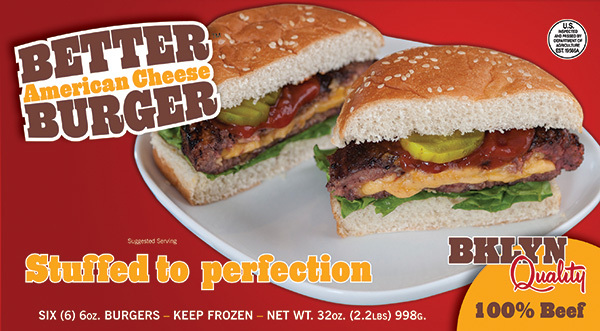 Why trust Alex's Meat & Provisions' products, including our new Better Burger line? Food safety is our #1 priority. 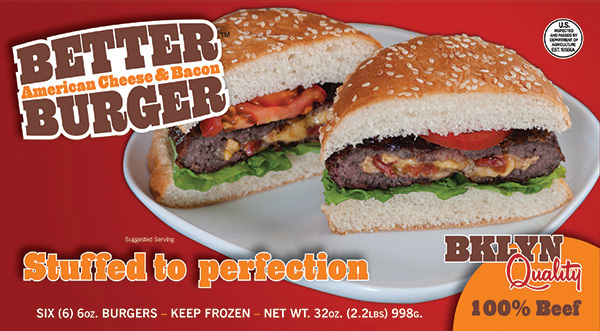 All of our Better Burger products are prepared under the most clean, safe and USDA-approved commercial processes. We run our own production facilities, insuring total oversight of all of our products at each phase of production. We use 100% natural ingredients to create delicious traditional and innovative recipes. All of our recipes are prepared to fully satisfy the consumer, whether it’s a home-cooked meal or a quick snack. Better Burger is a family owned and run business. We take pride in knowing our brands’ products are the best of their kind. 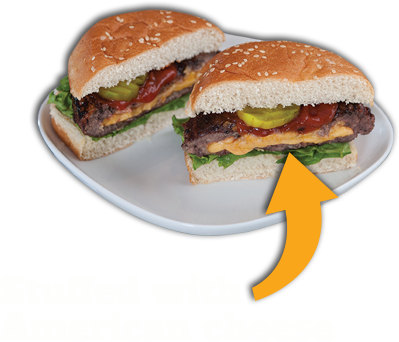 You can learn more about Better Burger by downloading our sales sheet or e-mailing us today. How did you hear about Better Burger?